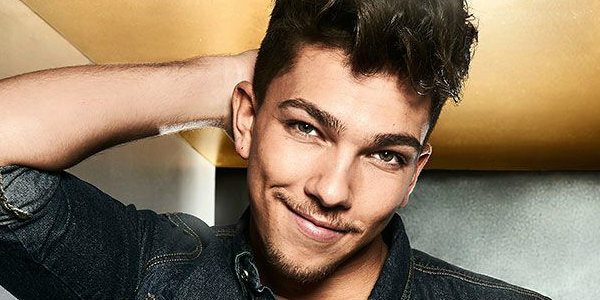 It turns out that X Factor winner Matt Terry will not receive his record deal prize with the Syco label, but has instead been signed up by RCA records. Last weekend Matt Terry was crowned champion of the X Factor 2016 after 6.4 million people voted for the 23-year-old to beat fellow finalist Saara Aalto to claim the prize of a recording deal with Simon Cowell’s own Syco label. However, it turns out that Matt won’t be receiving his promised prize at all. In fact, the X Factor victor has rather been picked up by RCA after Simon decided the singer would make a better fit with the Sony branch. Yet, Matt need not fret. RCA is still not a prize to moan about by any means. The UK thread of the record label has looked after some seriously successful names in the music industry including Alicia Keys, Justin Timberlake, Sia, Miley Cyrus and Paloma Faith. RCA is also host to some of the X Factor family such as Rebecca Ferguson, One Direction’s Zayn Malik and Olly Murs. So you’re in safe hands, Matt. It has also been reported that music bosses are eager for the new X Factor star to follow in the footsteps of a certain Mr. Olly Murs. This isn’t the first time that an X Factor winner has not been signed by Syco. Simon did not take on the 2010 winner Matt Cardle, instead opting to send the singer over to Columbia Records. However, that same year Simon did sign a deal with One Direction who went on to be a phenomenal global success. We wonder if Simon might do the same with one of this year’s acts? Unless the judge is hoping for similar global success with Honey G, who confirmed a secured recording deal with Syco earlier this week… Well, anything is possible.